Yo ho ho ho! A cheerful Santa voice is always the key to fulfill a warm, happy Christmas spirit. And did you know? With a Santa voice changer, anyone can mimic Santa voice with just a few clicks. In this tutorial today, Call Voice Changer will show you how to mimic Santa Claus voice with a Santa Claus voice changer. Light up your family moments by wearing Santa clothes, talking like him, sing like him record a Santa message for everyone, or simply making a Skype call. What is Santa Claus voice changer? Are you curious, what are we going to use to mimic a Santa voice? 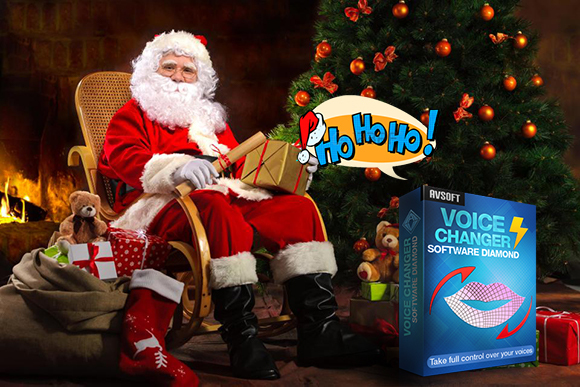 This is the software that can help you change your voice and talk like Santa Claus. You will be able to completely imitate Santa, with a Santa red suit on, Santa hat and it's just amazingly simple to be perfect. Talk with your friends, family via Skype in real time, apply more Christmas background sounds and effects to make your calls full of playful Christmas spirit and warm feelings. What else? You can also record a Santa speech, mix with Christmas songs, Christmas effects and then, open the message when your family member are gathering around for a dinner full of happiness. 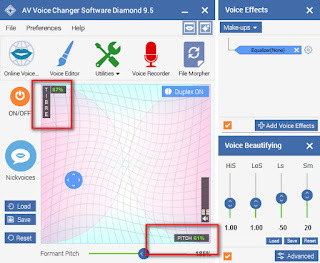 - Launch Voice Changer Software Diamond. - Select Pitch 61% and Timbre 87%. This set of values works best for me. 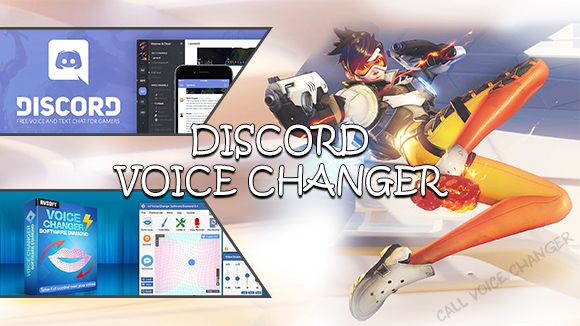 *Note: as each person will have a unique set of characteristics for their own voice, the value of Santa Claus voice changer settings above may be different in your case. Therefore, you can adjust a little more to achieve the kind of Santa voice you like, you can even get a better voice this way. 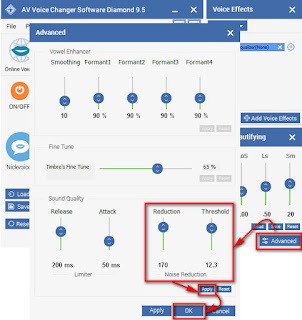 - Select Reduction 170 and Threshold 12.3, these are the parameters to control Noise Reduction. *Note: You can adjust Reduction and Threshold a little more to get the optimum settings for your voice. - Click Apply and then OK.
Did you know? 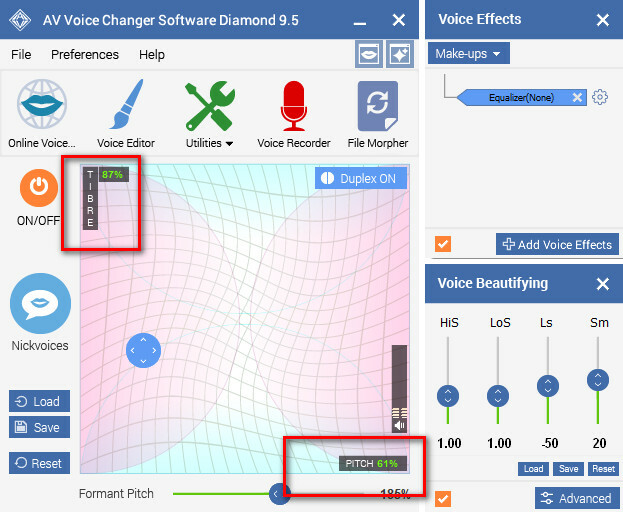 Voice Changer Software Diamond actually has an Add-on Store for you to download a bunch of free voice effects, sound effects, background effects and sound packs.